It was Kayte of Imminent Beauty whose review dinned it into my thick head that the Original Beauty Blender was a lot more than a mere - and expensive - sponge. After ages of humming, hawing and contemplating, she (and Jac's comment on the post) tilted the scales and I finally clicked "Buy". Thanks so much, Kayte! I got a duo pack from here (the Blender is one of the many reasons I've had to go on an online shopping ban). 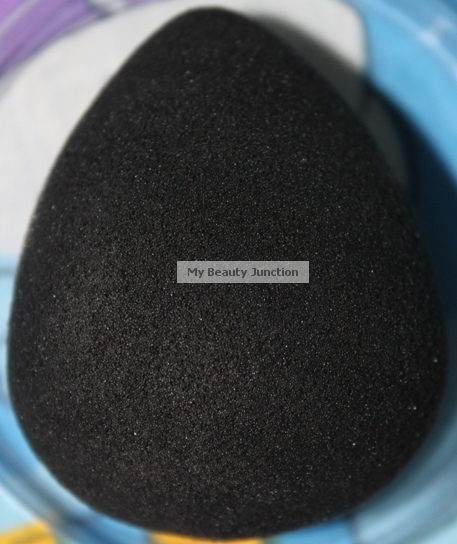 Here is a detailed review of the Beauty Blender Pro (black sponge) including before and after photos, my user experience, availability, why you need this sponge, and comparisons. 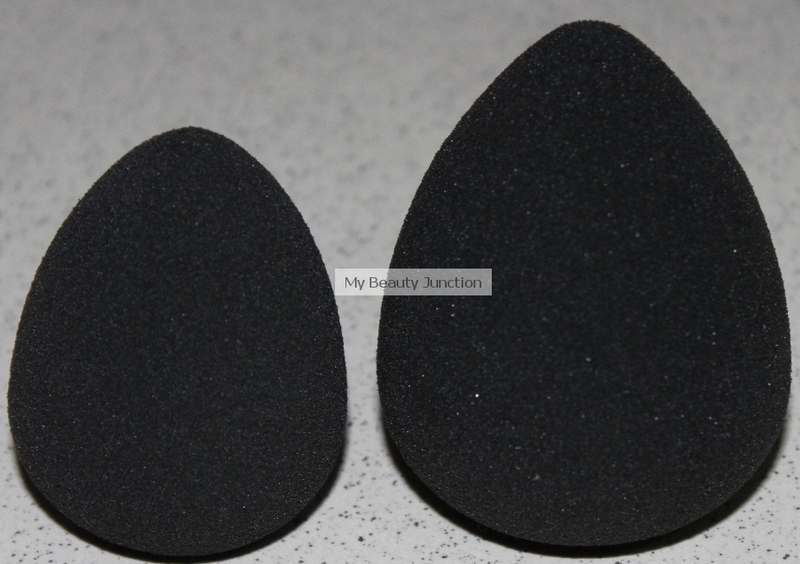 Why did I buy the Original Beauty Blender Pro black version and not the pink? 3. I loved the look of black and read that Pro would give even more pigmented results. 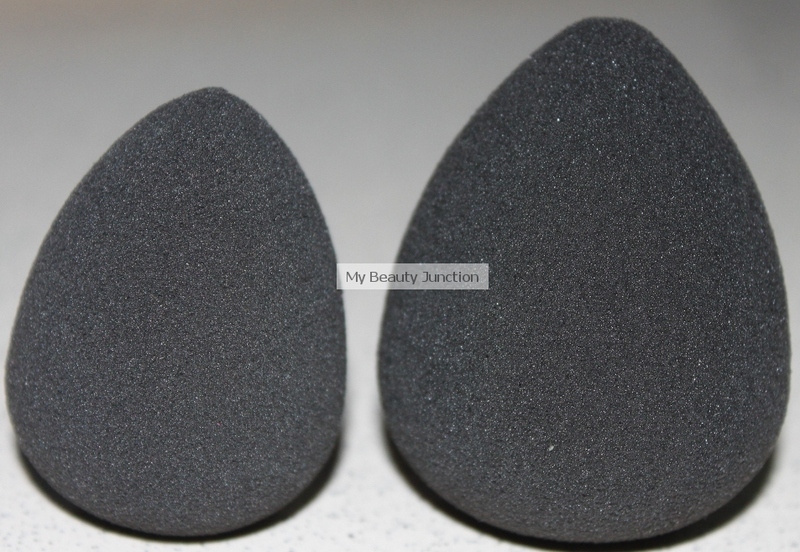 This is what the website says about Original Beauty Blender Pro: "Specially developed for higher pigmented makeup coverage.... 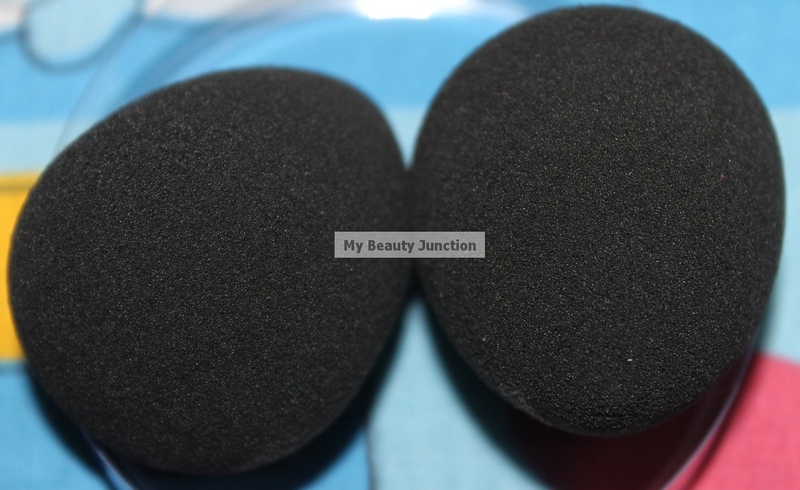 The Pro Sponge delivers the same outstanding results as the original Beauty Blender Sponge yet allows you to achieve a higher pigmented coverage." 5. The duo pack was better value for money. My order arrived in seven days flat - did I mention free international delivery? 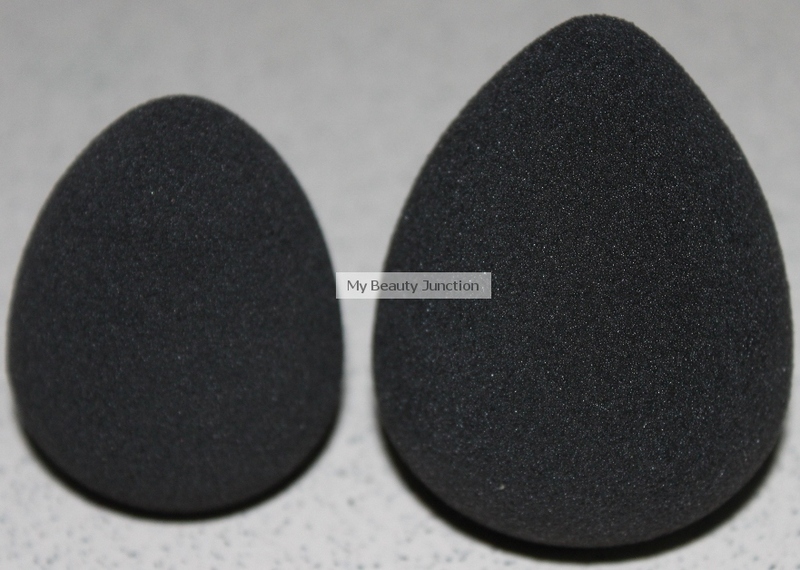 I'm not going to harp on about the Original Beauty Blender's history, the egg shape, Rea Ann, the latex-freeness or the blurb from the product card or the website. The sponge feels silky-smooth and is soft beyond description. It is like running your finger on soft suede. It is easy to squeeze, like squeezing butter, and not at all dense. And it is bouncy and feels hollow when you squeeze it and comes back to its original shape at once. Despite the rounded "bottom", it stands up on its own. Apparently those are the original tests (not to mention the lack of spelling mistakes in the copy on the back). Not that Beauty Bay would dream of selling anything else! Before contact with makeup, it needs to be dunked in water or held under running water for 15 seconds. Then, the water has to be squeezed out. You can dry it on a tissue/towel if you want. The biggest surprise was how big it grew after the watering. Almost twice as large, you could say. I'm glad I bought two, now you can see the size difference below. You also see these cool silver sparkles appearing when it expands. Incidentally, before the squeezing (when waterlogged), it was quite heavy, heavier than the dupes. What you do is bounce the sponge on the skin - no dragging, no marching up or down. I've tried out Shiseido Mattifying Powder and Clarins Everlasting Foundation (liquid). I first pressed the Blender firmly on the compact and then did the bouncing on the face. Firstly, two "presses" was enough to cover the whole face. With a sponge or brush, I have to dip, rub, dip, rub and dip again. I need just one-fourths the product with the Blender. For the liquid, I used one quick half-pump (when you don't press the pump all the way down) on the Blender for the whole face and jawline. There was just enough to go at the top of the neck, too. Secondly, the finish was smoother than ever, even without a primer. My pores are too large for my skin to be called airbrushed, but this was as perfect as it had ever been. Coverage was very thorough. The make-up lasted much longer and didn't come away on blotting tissue. This is the applicator that makes the difference between good and perfect makeup. I used Johnson's Baby Shampoo for cleansing, since I forgot to buy Blender Cleanser. The Blender is very easy to clean. A couple of squeezes later, the sponge is as black as ever. And, after using it with foundation, concealer and primer (just once because I can't get the "watered" sponge into my latest primer jar), there are no stains. While cleaning, if the foundation/soap enters the sponge, you immediately feel a "lump". Squeeze it under running water a couple of times and the lump goes away, along with the makeup/soap. Most importantly, the probability of error/mistakes is minimal. You cannot go wrong with this, no streaking, no over-application of product and no caking. This alone made it worth every penny I paid. 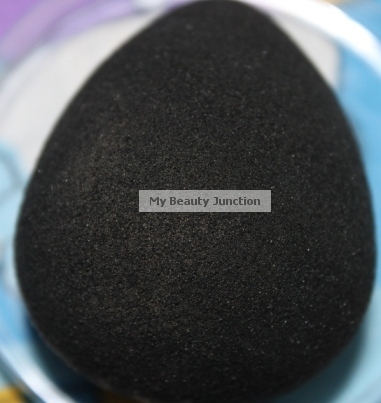 Finally, the sponge is large enough for primer, concealer, foundation and even bronzer at one go, on different areas. I like washing it after every use because I prefer it looking nice and black. It's probably bad for it, so I'm forcing myself into fewer cleaning sessions. Drying time is a good 4-5 hours, after which it returns to normal size. But now that the rains have begun here, I've noticed it takes much longer, even overnight, to return to normal in the humidity. The bouncing gives me medium to full coverage, but that's how I like it. Maybe leave in more water for a sheer finish? Or go for the pink one, since the Pro version gives more pigmented coverage? My biggest worry with the Blender is how fragile it appears. I really hope it lasts for a good while, given the price (which I've hidden from my family). Any experiences to share, people? I own a couple of Blender dupes, but I can tell you they cannot hold a candle to the original. No difference in the price will make me go back to a dupe after using the original. Shall do a post about the dupes soon, and a comparison with the Real Techniques Stippling Brush. No prizes for guessing which worked better for me. I see now what Kayte meant when she said she was obsessed with the Blender and that it throws everything else "out of the ball park". 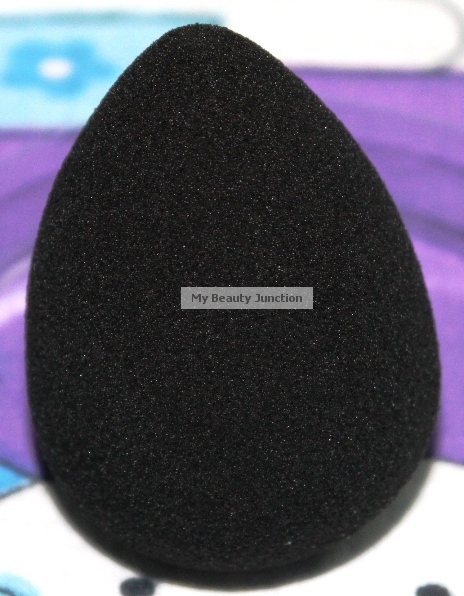 The Original Beauty Blender is the "coming of age" product of a makeup user. Go away, brushes and sponges! I don't need you anymore (except for eyeshadow - unless Rea Ann plans a baby-egg version for eyeshadows). Left: Dry and untouched. Right: Post-cleansing, during drying. 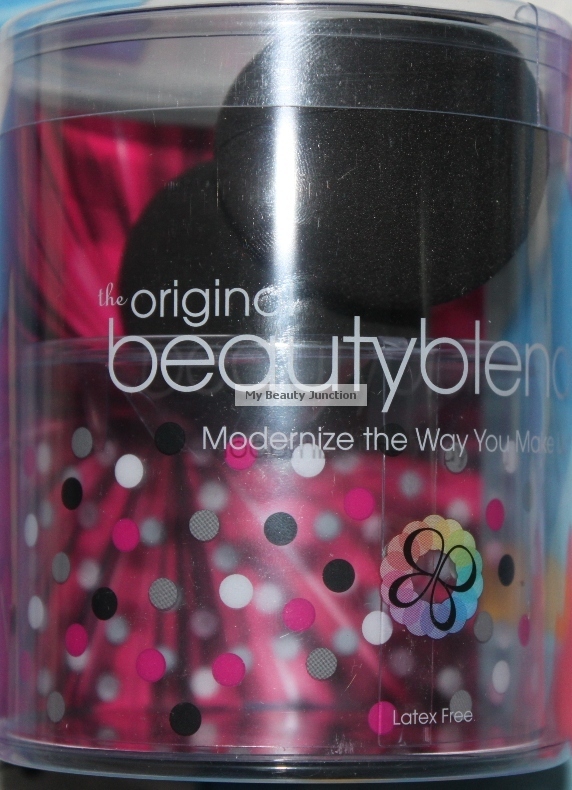 To buy your original Beautyblender, go here - they ship worldwide! OR buy here from Feelunique, who also ship worldwide.